Picture yourself here in this beautiful garden estate in the prestigious 'Edna Wallings' area of Upper Mooroolbark. Surrounded by lush green folliage with the grand Dandenong Ranges above and the fertile Yarra Valley below. This is such a fabulous location for Photography lessons. This Photography School is for Teenage and Adult Education. ​ Any Camera. Beginners welcome! Students can be absolute beginners who would like to learn the basics. To the more advanced hobby photographer who would like to perfect their techniques or meetup with photographers in our photography group. All areas of Photography are covered in these photography lessons. From Portrait Photography, Still Life Photography, Landscape Photography, Action Photography, Night Photography, Light Painting Photography and Drawing with Light Photography...to more contemporary Abstract Photography. on your Ipad, Tablet or Laptop... loaded with your software programs. 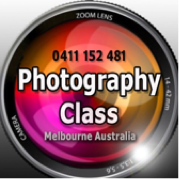 These Photography Classes are for all of Melbourne and Melbourne Eastern Suburbs including The Yarra Valley.